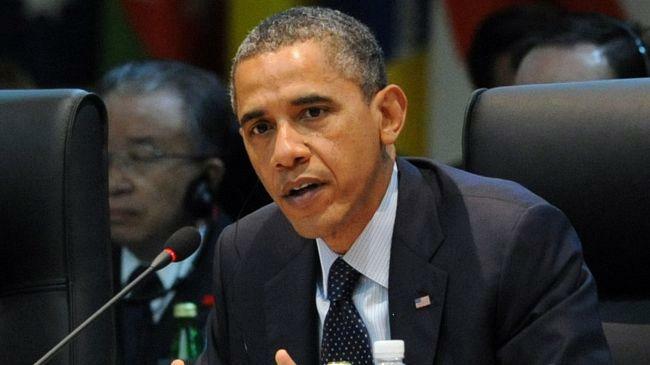 US President Barack Obama has given the green light for fresh sanctions against foreign banks and other financial institutions by or through which Iran’s oil is purchased. Obama made the decision on Friday night, hours before a legal deadline, arguing that there is enough oil on world markets to ensure the move will not trigger an oil shock hitting US consumers. "There is a sufficient supply of petroleum and petroleum products from countries other than Iran to permit a significant reduction in the volume of petroleum and petroleum products purchased from Iran by or through foreign financial institutions," the President said. The move is aimed to force importers of Iranian crude, namely China, South Korea, India, Japan and the European Union, to "significantly reduce" oil imports from Iran or face being frozen out of the US financial system. The US and EU have imposed tough financial and oil sanctions against Iran since the beginning of 2012, claiming that the country’s nuclear energy program includes a military component. Tehran refutes their claims, noting that frequent inspections by International Atomic Energy Agency have failed to prove any diversion in Iran's nuclear energy program toward military purposes. On March 20, US Secretary of State Hillary Clinton said in a statement that Washington had exempted 10 EU member states and Japan from the new sanctions on Iran. The measures against the major OPEC member poses a risk to Obama’s re-election bid in the November presidential race as they could aggravate the rising gas prices in the US. Ever evolving high-tech gadgets and the Internet have given Big Brother a peep hole into the lives of everyday Americans. Now, without the hassle of planting bugs or breaking and entering, the government can monitor virtually anything it wants. The CIA has recently claimed it would be able to “read” devices such as dishwashers or refrigerators, with the Internet – and perhaps even with radio waves from outside the home. The US intelligence officials say that by 2020, up to 100-billion of these ordinary devices could be wired to the internet, just as PCs and cell phones are now. “Items of interest will be located, identified, monitored, and remotely controlled through technologies such as radio-frequency identification, sensor networks, tiny embedded servers, and energy harvesters – all connected to the next-generation internet using abundant, low-cost, and high-power computing,” Petraeus said earlier this month. The digital data trail of every American will soon be connected to a massive mainframe in Utah, as construction of a $2 billion data center for the US national security agency is said to be underway. The complex will reportedly be able to collect, analyze and store all forms of personal communication, including online purchases, cell phone calls, Google searches and yes, private messages. And if the biggest-ever data complex or refrigerators connected to the Internet are a matter of the not too distant future, some “control” technologies are already being used. “You’re walking down the street and the camera that takes a picture of you is able to compare it, through facial mapping, is able to compare it to your driver’s license photo, or some other photo, and say alright you were on the corner of Baxter and Canal at three o’clock on Thursday. Ok, we have another camera shot. You were on the corner of 47th and 8th at three o’clock, last Saturday,” says Steve Rambam, private investigator and the founder and CEO of Pallorium, Inc., a licensed Investigative Agency. In addition to facial recognition technology, New York City’s police department is just one of many law enforcement agencies that also require citizens to undergo an iris scan before being released from police custody. In the past six months, iris scans have been used on hundreds of Occupy Wall Street (OWS) demonstrators placed under arrest, as many activists can attest. “They really don’t tell you why. They just say it’s another form of identification. and it’s really creepy to have someone holding up some machine to your face and you have no idea, not only the health effects of it, but what their larger purpose of using it is for,” says OWS Activist Christina Gonzales, who was arrested during demonstrations. Iris scans are like a high-tech finger print, but much faster. Officials can quickly identify anyone whose unique scan is on a database. So, if biometrics, robotic spies and state surveillance were the makings of a sci-fi flick staring Tom Cruise a mere decade ago, many scenes from the Hollywood blockbuster “Minority report” have arguably become an American reality today – with life ominously imitating art. 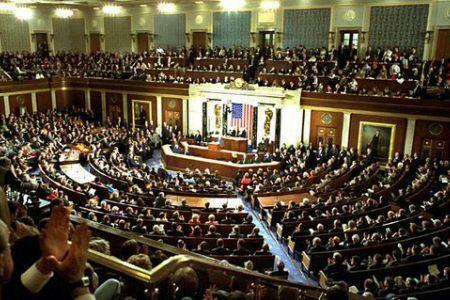 The US House of Representatives has adopted a budget resolution that calls for privatization of Medicare and the elimination of Medicaid, food stamps and many other federal entitlement benefits. The resolution is part of a bipartisan campaign to slash spending on social programs. All but ten of the Republican majority in the House backed the resolution—and those ten wanted even bigger cuts. All Democrats voted against the resolution, while offering their own proposals that called for somewhat less drastic cuts in spending and token tax increases on the wealthy. Not a single resolution was offered that called for increasing spending to meet social needs as the American economy staggers through a fifth year of economic slump and mass unemployment. The budget was drafted by House Budget Committee Chairman Paul Ryan of Wisconsin, who last year offered the first-ever proposal for the complete abolition of Medicare. It passed the House but not the Senate. This year’s resolution was even more sweeping and reactionary. It calls for $5.3 trillion in spending cuts over the next decade. Part of the savings would be used to reduce the federal deficit, but the bulk of them would go to reward the wealthy with new tax breaks, including abolition of the estate tax and the Alternative Minimum Tax, making the Bush tax cuts for the wealthy permanent, and lowering the top income tax rate from the present 35 percent to 25 percent. The major spending cuts in the budget resolution are focused on programs for the poor and the lower-paid sections of the working class. According to a study by the Center on Budget and Policy Priorities, 62 percent of the $5.3 trillion in spending cuts come from “programs that serve people of limited means.” If implemented, the cuts would drastically increase income inequality and poverty. The CBPP analysis found the budget provides for $800 billion in cuts for Medicaid, $1.6 trillion from repealing the expansion of Medicaid and subsidies for low- and moderate-income people, $134 billion in cuts from food stamps, and $463 billion from other programs for low-income individuals and families, including an estimated $166 billion from Pell Grants for low-income college students. According to other accounts, the budget would cut 200,000 children from Head Start, deny food stamps or WIC food commodities to 1.8 million infants, children and pregnant or nursing women, cut transportation financing by up to $50 billion, and cut unspecified billions from federal employee pensions. The resolution proposes to turn back the clock on federal programs by more than half a century, capping federal spending at 19 percent of gross domestic product, about the level that prevailed in the 1950s, before the establishment of Medicare and other social welfare programs adopted under the Johnson administration. In order to accomplish this goal, the Ryan plan would raise the age of eligibility for Medicare from 65 to 67, and end Medicare as a federal entitlement for all those now younger than 55. Anyone who turns 65 after 2023 would be relegated to buying private health insurance with a government grant that would be capped, shifting costs to the individual. Unlike last year, however, Ryan modified his Medicare plan slightly to obtain a Democratic co-sponsor, Senator Ron Wyden of Oregon. The Ryan-Wyden plan would give those under 55 the option to stay with traditional Medicare, but only under financing options that would make the federal program unviable. As Washington Post columnist Ezra Klein noted, the Ryan plan establishes the identical mechanism for the elderly to purchase private insurance—state-run insurance exchanges—that the Obama administration has made the center of its healthcare reform program. Obama proposed this method to cut the cost of healthcare for the government and corporate employers. Ryan proposes the same means to cut the cost of providing healthcare for the elderly. The other significant feature of the Ryan budget resolution is that it reneges on the agreement reached last August between the Obama administration and congressional Republicans, setting spending levels for the 2012 and 2013 fiscal years. The White House embraced significant cuts in discretionary spending in return for an increase in the federal debt ceiling. This raises the prospect of a new legislative deadlock over the adoption of appropriations bills for fiscal year 2013, and a partial shutdown of the federal government October 1, on the eve of the presidential and congressional elections. None of the competing budget resolutions debated and voted on by the House Wednesday and Thursday, however, provided any serious alternative. A proposal based on the Obama administration’s own budget numbers, offered by Republican Congressman Mick Mulvaney of South Carolina in order to ridicule it, was voted down by 414 to zero, without a single Democratic vote. Three measures offered by various factions of the Democratic Party were all voted down—the Black Caucus budget was defeated 107-314, the Progressive Caucus budget 78-346, and a Democratic leadership budget 163-262. Significantly, all of these budget resolutions adhered to the spending levels set last August in the bipartisan White House deal. In other words, the Democrats, even in their most liberal guise, accepted the budget cuts endorsed by Obama last year. The House also defeated, by a vote of 136-285, an alternative to the Ryan budget resolution with even greater cuts, proposed by the Republican Study Group, a caucus of ultra-right and Tea Party members. One other budget resolution was voted on, and despite its lopsided defeat, the measure was politically significant. A bipartisan group of right-wing Democrats and moderate Republicans proposed a budget plan based on the report of the Simpson-Bowles commission, which Obama appointed to devise a deficit-reduction program. The resolution was overwhelmingly defeated, by 38 to 382, because few Republicans would vote for a resolution calling for tax increases on the wealthy, and few Democrats wanted to publicly support sizeable cuts in Medicare and Social Security in a bill that was certain to be defeated. Nonetheless, the bipartisan measure indicated where a deal is to be had once the charade of the November elections is completed. Whatever the configuration of the two parties, in terms of control of the White House, Senate or House of Representatives, there will be a bipartisan deal to slash spending on the poor and working class, while preserving, with only token changes, the enormous tax boondoggles for the wealthy. This will be presented to the American people, either by President Obama or his Republican successor, as a measure providing “equal sacrifice” or “shared responsibility” for the fiscal crisis of the federal government. Patrick Martin is a frequent contributor to Global Research. Spaniards protesting against the government’s new labor reform on March 29, 2012. The Spanish government has unveiled harsh budget cuts one day after a nationwide general strike against tough new labor reforms paralyzed the country. Spain’s Deputy Prime Minister Soraya Saenz de Santamaria announced on Friday that the government plans to save more than 27 billion euros in its 2012 budget through freezing civil servant salaries and ministerial spending cuts. "The ministries will see an average reduction of 16.9 percent ... there will be adjustments of over 27 billion euros through revenues and through spending," she added. Madrid says the spending cuts are needed to reduce the country's deficit to 5.3 percent of gross domestic product (GDP) this year from 8.5 percent last year. The Spanish government announced 15 billion euros in cuts in December. Prime Minister Mariano Rajoy warned that the country is facing a “very, very austere budget” in which billions more is expected to be cut. On Thursday, anti-austerity strikers took to the streets of several cities across the country to protest against the government's tough new labor reforms, which facilitate lay-offs. The labor Reforms, approved by Rajoy's government on February 11, allow Spanish companies to pull out of collective bargaining agreements and have greater flexibility to adjust employee schedules, workplace tasks and wages, as well as making it easier and less costly to fire workers. Spain's unemployment rate hit a 17-year high of 22.85 percent at the end of 2011, giving the country the highest rate among the 27 EU member states. Battered by the global financial downturn, the Spanish economy collapsed into recession in the second half of 2008, taking down millions of jobs with it. Analysts say Spain's economy is expected to enter into a new recession in the first two quarters of 2012. It is wrong to idealize the Chinese success, let alone fear Chinese economic dominance in the future. It is not coming, Chairman of Glencore International corp., Simon Murray, told RT. “China on a comparison basis is certainly doing better than anywhere else but whether it is going to lead the world forever and ever I do not think so,” said Murray, who spent most of his career in China. Secret of China’s success is nothing unique: the country is just coming through the cycles Europe has long passed in the previous eras, he noted. “China is a manufacturing country … Manufacturing is what really leads the prosperity and the western world has swung away from manufacturing into service industries,” Murray said. He added that after China passes its equivalent of industrial revolution it might move its factories offshore just like the West now. There is also nothing unique in the so-called Asian values of hard labor, the British businessman noted. They are exactly the same as in the Victorian England with 15-16-year-olds working in coal mines. Despite China boasting 350,000 millionaires and 115 billionaires, 700 million of its people live on just "four dollars a day",Murray said, and discontent is growing. US gears up for land operation in Persian Gulf? The US is sending an amphibious assault group and a couple of thousand US Marines to the Persian Gulf. With another US carrier making its way to Iran’s doorstep, US military still insist that this is a “regularly scheduled deployment”. The Iwo Jima Amphibious Ready Group is comprised of amphibious assault ship USS Iwo Jima, amphibious transport dock USS New York, and amphibious dock landing ship USS Gunston Hall. It is also reinforced with an atomic submarine and a marine helicopter squadron. The group, which is “a versatile sea-based force that can be tailored to a variety of missions,” left port on Tuesday and is heading to the Gulf, the US Navy says. Over 2,000 US Marines are to come on board Iwo Jima when the group makes a stop in North Carolina. Many of those marines are veterans of ground combat in Iraq and Afghanistan making their first shipboard deployment, dailypress.com points out. 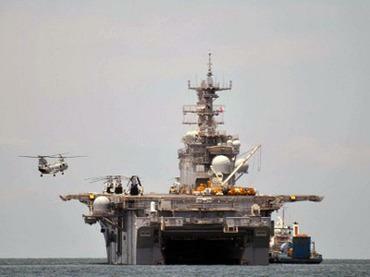 The US already has an amphibious group with an expeditionary marine unit in the Gulf region. The Makin Island Amphibious Ready Group was deployed there in January, after Iran’s threat to close the Strait of Hormuz, a crucial route that allows the delivery of around 20 per cent of the world's oil. Iran has repeatedly reiterated this threat over the last six month, while the US and its NATO partners kept increasing their naval presence in the region. The US is aware that Iran has enough resources to mine the strait within a relatively short period of time. General Michael Dempsey, Chairman of the US Joint Chiefs of Staff, said earlier that the US must be prepared to reopen the Strait of Hormuz by force. In March, the US sent another four minesweepers to join those already deployed there, bringing the overall number in the region to eight. Two US aircraft carrier battle groups, headed by the USS Carl Vinson and USS Abraham Lincoln, are patrolling the waters around the strait. Another carrier, USS Enterprise, is expected to join them next month. Although many US officials, including President Obama, still insist on using diplomacy and sanctions, they admit that “all options are on the table” to force Iran to drop its nuclear program. Meanwhile, Israel – the closest US ally in the region – considers nuclear Iran to be “an existential threat,” which needs to be dealt with as soon as possible. Last week, Israel’s Defense Minister Ehud Barak, spoke of a three-month deadline for Iran to give up its nuclear ambitions or face imminent attack. Worldwide Banking Resignations Triple According to Revised Numbers: Why Now? On March 6, 2012, Brandon Turbeville from Activist Post wrote an article entitled “Mass Banking Resignations Signal A Purging Has Begun?” where he included a list of banking directors, CEOs, and board members of both national and international financial institutions standing who have resigned from their post since September 2011. The data was collected and compiled by independent blog American Kabuki and posted onlinecomplete with a description of the individual, location, and link to the resignation announcement where it was covered in the mainstream media. At the time his article was posted, the list had already topped 122. This prompted many, including myself, to question whether or not 122 was actually such a large number, given that there are many national and international institutions across the globe, as well as the fact that these resignations took place within a span of a period of about five months. Certainly, the number seemed enormous. Apparently American Kabuki had the same questions. Only a few weeks after the initial posting, the blogger posted a chart that included the number of resignations filed with the SEC, as required by the Securities Exchange Act of 1934, going back to 2008 and in to the fourth quarter of 2011. Tracing the resignations back to 2008 would, obviously, provide something close to a representative sample of the normal rate of resignation over a period of three years. What these statistics revealed was a staggering increase in the number of resignations announced around the second and third quarters of 2011. He included this chart, along with some commentary, in his article “Why Are Bankers Jumping Ship In Record Numbers, Financial Collapse Imminent?” Please see this article in order to understand the specifics of the statistics presented by American Kabuki’s research. Or, view American Kabuki’s own presentation here. However, chart or no chart, the recently revised number regarding resignations from financial firms, banks, etc. seems to put many of the questions to rest. Indeed, a recent post by American Kabuki now shows that the number of resignations stand at 358, almost triple the number originally posted. The revised list of resignations will be included at the end of this article along with the links to the announcements. Why are so many bankers, CEOs, fund managers, and investors resigning all at once? Why now? One might be tempted to ask whether or not there is a coming investigation that these individuals are trying to avoid but, given the track record of the regulatory system, this is not our most likely option. Considering the current state of the economy, it might seem more logical to ask if these individuals are not trying to abandon ship before the collapse of the world financial system finally takes place. Or it could be something entirely different. At this point, we simply do not know. Regardless, something big is obviously happening in the financial world and the forces behind it are acting on information that the general public is unaware of. 2. 9/06/11 (BELGIUM) Dexia confirmed that its CEO Stefaan Decraene had left the company. Its exposures to sovereign debt in the PIIGS nations are larger than its core Tier 1 capital. 6. 9/14/11 (NEW ZELAND) AMP NZ Office Limited (ANZO), Mark Verbiest has resigned as a director. His resignation arises due to his desire to devote the necessary time and energy to his prospective new role as Chairman of Telecom, assuming the Telecom demerger is sanctioned by Telecom shareholders. 9. 9/20/11 (SCOTLAND) SCOTTISH WIDOWS (RETIREMENT INVESTMENT SAVINGS FUND) There could be no Scottish representative on the board of Lloyds Banking Group, owner of Bank of Scotland, in future after it announced the departure of Lord Sandy Leitch, the chairman of Scottish Widows and group deputy chairman. 14. 9/29/11 (JAPAN) BLIFE Investment Corporation, Asset Manager Director Masaomi Yamadaira resigned. 15. 9/29/11 (UK) Barclays, Head of UK & European Retail Banking Deanna Oppenheimerresigned. 17. 9/30/11 (SINGAPORE) AIMS AMP CAP INDUSTRIAL REIT, Ms Tang Buck Kiau resigned. 19. 10/03/11 (INDIA) The of Euram Bank Asia, president Arun Panchariya, has resigned after being implicated in a stock trading scandal in India. 20. 10/03/11 (GHANA) Intercontinental Bank Ghana Limited, Managing Director and CEO Albert Mmegwa resigned. 21. 10/03/11 (USA FL) Quantek Opportunity Fund, portfolio manager Javier Guerra. Arbitration awarded $1 million damages to Aris Multi-Strategy Fund. Quantek Asset Management made false statements to Aris. 22. 10/05/11 (UK) UBS co-chief François Gouws of global equities had resigned after last month’s revelation of a $2.3 billion loss from unauthorized trading. 23. 10/05/11 (UK) UBS co-chief Yassine Bouhara of global equities had resigned after last month’s revelation of a $2.3 billion loss from unauthorized trading. 24. 10/10/11 (BELGIUM) Dexia (Franco-Belgian bank) its chairman Jean-Luc Dehaene will give up his role on the board of Dexia’s Belgian division, which is being sold to the Belgian state as part of a rescue deal, the group said on Monday. 25. 10/11/11 (UK) BlackRock, head of sterling portfolios and manager of the Corporate Bond fund, Paul Shuttleworth, has resigned after 11 years at the firm. 26. 10/11/11 (UK) Dynamic Funds, portfolio manager David Taylor has resigned. 27. 10/11/11 (CHINA) China Construction Bank Non-Executive Direct Sue Yang resigns for personal reasons. 28. 10/13/11 (UK) Cogent Partners co-head research department Katita Palamar resigned. 29. 10/13/11 (UK) Cogent Partners co-head research department Bill Farrell resigned. 30. 10/14/11 (USA TX) Deutsche Bank Investment Advisor Griffin Perry resigns, SEC regulations prevented him from campaigning for his father Rick Perry’s Presidential campaign. 31. 10/23/11 (USA) Fairholme Capital Management LLC, Director Charles Fernandez stepped down for personal reasons. Fairholme Fund has lost 26 percent of its net asset value due to bets that have backfired on AIG Inc, Bank of America Corp and Florida-based landowner and developer St Joe Co.
33. 10/24/11 (SINGAPORE) Keppel Corporation Limited, Teo Soon Hoe will resign from his role as group finance director Jan 1. 34. 10/26/11 (INDIA) Beed District Bank (Coop Bank) CEO B S Deshmukh arrested for embezzling Maharashtra State Electricity Distribution Company Ltd payment deposits. 35. 10/26/11 (INDIA) Beed District Bank (Coop Bank) former CEO A N Kulkarni arrested for embezzling Maharashtra State Electricity Distribution Company Ltd payment deposits. 36. 10/27/11 (USA NY) Keefe, Bruyette & Woods Inc (KBW) CEO John Duffy stepped aside. Duffy has prostate cancer. 39. 10/31/11 (EUROPEAN COMMUNITY) European Central Bank President Jean-Claude Trichet, resigns. 42. 11/03/11 (POLAND) Nordea Bank Poland, Wlodzimierz Kicinski resigned from as President of the Management Board of Nordea Bank Poland as of the 10th of November. 43. 11/04/11 (USA NY) MF Global, Jon Corzine, stepped down as chairman and CEO, hired criminal attorney to represent him. 44. 11/07/11 (SINGAPORE) Singapore Mercantile Exchange (SMX), CEO Framroze Pochara quits. 46. 11/09/11 (USA NY) HSBC Israeli desk, managing director Issac Doueck resigned. 47. 11/09/11 (ISRAEL) HSBC Israeli desk, senior representative Simon Hakim resigned. 48. 11/09/11 (SWITZERLAND) HSBC Israeli desk, head of Israel Dan Sagi resigned. 49. 11/09/11 (USA NY) HSBC Israeli desk, ????? resigned. 50. 11/09/11 (USA NY) HSBC Israeli desk, ????? resigned. 51. 11/10/11 (EUROPEAN COMMUNITY) European Central Bank Lorenzo Bini Smaghiresigned from the European Central Bank’s Executive Board. 54. 11/15/11 (USA NY) Icahn Enterprises LP, senior managing director of health-care investing,Alex Denner, has resigned. 55. 11/16/11 (EUROPEAN COMMUNITY) International Monetary Fund Europe, director Antonio Borges resigns for personal reasons. 56. 11/17/11 (NETHERLANDS) Syntrus Achmea (pensions manager), CIO Marjolein Sol is resigning. 57. 11/18/11 (SCOTLAND) Scottish Widows Investment Partnership Limited (SWIP) Private Equity Fund, wish to announce the resignation of John Brett from the Board of Directors of the Company, for business reasons. 60. 11/24/12 (IRELAND) AXA Rosenberg Management Ireland Limited, director Simon Vanstone resigns. 61. 11/28/11 (LATVIA) Latvia’s chief banking regulator, Irena Krumane, said she resigned today, a week after the state took over Latvijas Krajbanka AS (LKB1R), the Baltic News Service reported. The bank regulator suspended operations at Krajbanka, a subsidiary of Lithuania’s Bankas Snoras AB, on Nov. 21 and said around 100 million lati ($191.8 million) was missing. The Lithuanian government seized Snoras on Nov. 16 saying assets reported on the lender’s balance sheet were missing. 64. 11/29/11 (FRANCE) AXA Real Estate Investment Managers, Global head of business development, strategy and research for Kiran Patel, has handed in his resignation. Patel was with the firm for 11 years. 65. 11/30/11 (LITHUANIA) Lithuania Central Bank, Governor Vitas Vasiliauskas firedKazimieras Ramonas, head of the banking supervision department, after seizing Bankas Snoras AB, the country’s third-biggest deposit bank. 66. 12/01/11 (SRI LANKA) Sri Lanka’s Securities and Exchange Commission (SEC) headIndrani Sugathadasa resigned. 68. 12/03/11 (USA SC) South Carolina’s $25 billion pension fund chief investor Robert Bordenresigned. Borden’s resignation comes as the SC Retirement System faces a $13 billion deficit, prompting state lawmakers to call for a massive overhaul of the system. 71. 12/06/11 (USA ) Western Liberty Bancorp CFO George Rosenbaum has resigned. 72. 12/08/11 (USA) Fidelity Global Special Situations Fund, manager Jorma Korhonenresigned. 78. 12/19/11 (JAPAN) Citibank Japan CEO, Darren Buckley, resigns after Citibank was punished by regulators for the third time in seven years. 80. 12/19/11 (DENMARK) Danske Bank Eivind Kolding has resigned as Chairman of the Board of Directors and from the three board committees on which he served, He continues as member of Danske Bank’s Board of Directors until he assumes the position of Chairman of the Executive Board on 15 February 2012. On the same day, at the latest, Eivind Kolding will resign from the A.P. Moller-Maersk Group. 81. 12/20/11 (UK) Prudential (UK) Chairman Harvey McGrath has informed the Board of his intention to retire from the Board in 2012 once a successor has been found. 82. 12/20/11 (USA MA) Century Bancorp, Inc., Director Roger S. Berkowitz resigned. 83. 12/21/11 (USA MN) Voyager Bank, fired CEO trade accusations, New details have emerged in Voyager Bank’s firing of its CEO in a court filing that accuses him of defrauding the bank of $15 million. The former CEO, Timothy Owens, has sued the bank for wrongful termination and accused the bank of defaming him. 88. 12/23/11 (USA) Third Avenue Value Fund, co-manager Marty Whitman is leaving. 91. 1/03/12 (GREECE) Marfin Popular Bank Public Co Ltd, Mr Eleftherios Hiliadakis has resigned from the Board of Directors. 93. 1/03/12 (USA WI) Michael Falbo, president and CEO of Southport Bank, has resigned just six months after accepting the position. 95. 1/03/12 (UK) Arbuthnot Banking Group: Atholl Turrell left the Board. 97. 1/05/12 (USA NY) Blackstone/GSO Senior Floating Rate Term Fund and Blackstone/GSO Long-Short Credit Income Fund announced that John R. O’Neill has resigned. 98. 1/07/12 (UK) Arab Banking Corporation Intl. Bank (ABCIB) Manama, Bahrain: ABCIBannounced retirement of CEO Nofal Barbar from its London office. 101. 1/09/12 (USA NY) Morgan Stanley Chief Legal Officer Frank Barron retires. 102. 1/09/12 (SWITZERLAND) Temenos Group AG, provider of core banking software announced the resignation of Mark Austen as a member of the Board of Directors. 103. 1/10/12 (USA IN) Security Bank of Springfield, president and CEO Steve Cour has announced plans to retire at the end of June. 104. 1/11/12 (KAZAKHSTAN) BTA Bank, CEO Marat Zairov resigns for health reasons. 105. 1/11/12 (SWITZERLAND) La Banque Privée Edmond de Rothschild, CEO Claude Messulam resigns, replaced by Christophe de Backer, Claude Messulam to become a director of the bank holding company. 109. 1/13/12 (USA DC) World Bank, Vice President for Africa, Oby Ezekwesili will retire from her position at the World Bank in May. 110. 1/17/12 (CANADA) Cumberland Private Wealth Management CIO John Wilson quit to join another money manager. 111. 1/17/12 (HONG KONG) Oversea-Chinese Banking Corporation Limited (OCBC Bank) CEODavid Conner retires. 112. 1/17/12 (UK) Morgan Stanley Intl, chairman Walid Chammah is retiring. An inside source speculated that it could mean that the company had suffered exposure to European sovereign debt woes under Chammah’s purview. 113. 1/17/12 (KUWAIT) Commercial Bank of Kuwait S.A.K. Board Member Ali Yousef Al Awwadhy resigned. 114. 1/17/12 (KUWAIT) Commercial Bank of Kuwait S.A.K. Board Member Miss Anoud Fadhel Al Hathran resigned. 115. 1/17/12 (KUWAIT) Commercial Bank of Kuwait S.A.K. Board Member Mr. Tarek Farid Al Othman resigned. 116. 1/17/12 (KUWAIT) Commercial Bank of Kuwait S.A.K. Board Member Mr. Salem Ali Hassan Al Ali resigned. 117. 1/17/12 (KUWAIT) Commercial Bank of Kuwait S.A.K. Board Member Mr. Majed Ali Oweid Awadh resigned. 118. 1/17/12 (KUWAIT) Commercial Bank of Kuwait S.A.K. Board Member Mr. Badr Suliman Al Ahmed resigned. 119. 1/18/12 (USA) Goldman Sachs co-heads of Goldman’s securities business David Hellerresigns. 120. 1/18/12 (USA) Goldman Sachs co-heads of Goldman’s securities business Edward Eislerresigns. 121. 1/18/12 (USA) Goldman Sachs co-head of its investment management division Ed Forstresigns. 122. 1/19/12 (UK) Santander, senior director Americas division Francisco Luzón is retiring with a pension pot of about €56m, a package whose generous size is expected to reignite controversy over bankers’ remuneration. 123. 1/19/12 (EGYPT) Beltone Financial Holding (BTFH) Alaa’ Sabaa resigned from board of directors. 124. 1/19/12 (EGYPT) Beltone Financial Holding (BTFH) Wael EL Mahgary resigned from board of directors. 125. 1/20/12 (USA NY) JPMorgan Chase, Mortgage Banking Default organization head Scott Powell has decided to leave the bank. 127. 1/20/12 (SOUTH AFRICA) First National Bank’s sharia banking division is in a state of flux after it was hit by a corporate governance scandal in which its chief executive, Ebi Patel, was put on “special leave” for almost a month while an internal probe was conducted. Patel has been reinstated, but is facing disciplinary action. Islamic finance forbids the payment and receipt of interest (riba), and investment in some industries. Sharia law states that interest-bearing transactions result in economic ills such as unemployment and high inflation. Trading in derivatives and speculative investment are also forbidden. Sharia law requires all transactions to be backed by tangible assets. 129. 1/20/12 (SOUTH AFRICA) South African deputy economic development minister Enoch Godongwana quit his post this week in the face of growing outrage in government circles about his involvement in a company that allegedly defrauded clothing factory workers of R100-million of their pension fund money. 131. 1/21/12 (SINGAPORE) ANZ Asia’s private banking head Nina Aguas resigns as managing director of Asia-Pacific private banking. 133. 1/22/12 (KENYA) National Bank of Kenya’s (NBK) managing director, Mr Reuben Marambii, will resign before year end. 135. 1/24/12 (SWITZERLAND) Global Fund to Fight AIDS, Tuberculosis and Malaria, Dr. Michel Kazatchkine, a French clinical immunologist and head of the $22.6 billion fund has abruptly resigned, since revelations about corruption and misspending severely rattled some of its biggest donors. The resignation came on the eve of the World Economic Forum meeting in Davos, which played a role in its creation a decade ago. A dinner for the public-private fund is planned Thursday with U.N. Secretary-General Ban Ki-moon and major backers Bill Gates and the Bill & Melinda Gates Foundation. The shakeup resulted from an internal review to address problems highlighted in Associated Press stories last year about the loss of tens of millions of dollars in grant money because of mismanagement and alleged fraud. Its biggest private donor is the Bill & Melinda Gates Foundation, which has pledged $1.15 billion and provided it with $650 million so far. 136. 1/25/12 (UK) SOFIA PROPERTY FUND LIMITED, Gerry Williams has resigned as a Director, following his resignation from Ardel Holdings Limited (“Ardel”) where he was CEO. Ardel is the holding company of Ardel Fund Services Limited which provides administration services in Guernsey to the Company. 137. 1/25/12 (USA NY) Fortress Private Equity, CEO Daniel Madrid (aka Daniel Mudd) has resigned. Madrid was forced to leave in order to deal with SEC allegations. Prior to joining Fortress, Madrid served as Fannie Mae CEO and was forced to resign. SEC sued Madrid and former Freddie Mac CEO Richard West Long (aka Richard Syron) for hiding hundreds of billions of dollars in subprime loans. Madrid denied the SEC allegations saying the US govt. and investors were informed of Fannie Mae’s loan data. 138. 1/27/12 (SINGAPORE) AIMS AMP CAP INDUSTRIAL REIT, Mr Graham Sugden resigned. 141. 1/27/12 (SOUTH AFRICA) ABSA Group CEO Daphne Motsepe retires at the end of April after a 10-year career at the bank. 147. 2/01/12 (SYRIA) Arab Bank Syria Board member Basma Talal Zein resigns. 152. 2/02/12 (USA) American Perspective Bank, President and CEO Thomas J. Beene resigned. 153. 2/02/12 (USA) NIR Group hedge funds, Corey Ribotsky was forced out of NIR by Pricewaterhouse-Coopers, the court-appointed liquidator, following allegations of fraud by the Securities and Exchange Commission. In September, the SEC sued Ribotsky and NIR fortaking more than $1 million of investors’ money to buy cars and watches. 154. 2/02/12 (IRELAND) AXA Rosenberg Management Ireland Limited, director Nathalie Saveyresigned. 155. 2/03/12 (UK) VinaCapital Vietnam Opportunity Fund Ltd, Non-Executive Director Horst Geicke has resigned. 156. 2/03/12 (UK) UBS London trader, Kweku M. Adoboli, was arrested and charged with fraud and false accounting, forcing UBS to announce a $2.3 billion trading loss. 160. 2/06/12 (USA NY) TD Ameritrade, head of retail distribution John Bunch resigns. Bunch is leaving to take the top job at a small investment advisory firmin Kansas City. 165. 2/08/12 (USA OH) Cleveland International Fund (CIF) private equity fund, A. Eddy Zailaunched and led the Cleveland International Fund, an investment outfit that pairs wealthy foreign investors hoping for U.S. residency with job-creating projects. Zai resigned from his job this week, before being indicted in a bank-fraud scheme that, according to investigators, contributed to the collapse of a credit union in Eastlake. 166. 2/08/12 (UAE) Emirates NBD makes top-level changes Bank’s deputy chief executive officerAbdul Wahed Al Fahim has resigned. 167. 2/09/12 (VATICAN) Institute for Religious Works (IOR aka “Vatican Bank”), 62 year oldMonsignor Emilio Messina, the Archdiocese of Camerino-San Severino Marche investigated on money laundering by Italian officials. 170. 2/09/12 (VATICAN) Institute for Religious Works (IOR aka “Vatican Bank”), 85 year oldFather Don Evaldo Biasini of Rome. Father Don Evaldo Biasini is known as the “Don of Cash”. 173. 2/09/12 (UK) Alliance Trust Savings (ATS), Robert Burgess is stepping down as CEO. 177. 2/13/12 (UK) Goldman Sachs confirmed on Monday that George N. Mattson, one of the firm’s top deal makers in the industrial sector, will retire. He was a senior relationship banker with a client list that included General Motors, General Electric and Caterpillar. 178. 2/13/12 (HONDURAS) Honduras finance minister William Chong Wong, resigned on Monday after the International Monetary Fund (IMF) said the country did not reach its deficit and monetary targets for 2011. 182. 2/14/12 (USA NY) Goldman Sachs Jeffrey Moslow resigns, an investment banker to companies such as Tyco International Ltd, Nstar, the Boston-based utility, and defense contractor Dyncorp International Inc.
183. 2/15/12 (SOUTH AFRICA) HPA – Hospitality Property Fund Limited, chairman Frank Berkeley resigned. 186. 2/15/12 (CHINA) Morgan non-executive chairman Stanley Stephen Roach will be retiring. 189. 2/16/12 (USA IL) Deerfield Capital Management LLC, CEO Daniel Hattori and CEO of CIFC Corp resigned. 190. 2/16/12 (USA IL) Deerfield Capital Management LLC, COO Luke Knecht and CEO of CIFC Corp, resigned both positions. 199. 2/17/12 (SOUTH AFRICA) Coronation Fund Managers CEO Hugo Nelson is stepping down at age of 40. 203. 2/17/12 (UK) Insight Investment, asset manager Mike Pinggera has resigned..
205. 2/17/12 (BULGARIA) Bulgaria National Health Insurance Fund (NHIF), The managing director Neli Nesheva, resigned after a two-day row about end-of-year bonuses paid by NHIF to its employees. 208. 2/19/12 (MALTA) Bank of Valletta, director of the Multi-Manager Fund John C. Ripard, has resigned being reprimanded by the MFSA for disposing of his holdings in the Fund whilst in possession of sensitive information which was not available to the public. 219. 2/21/12 (JAPAN) CITIBANK JAPAN: Bakhshi is taking over duties from Brian Mccappin, who the bank said in December would resign after the unit was banned for two weeks from trading tied to the London and Tokyo interbank offered rates. 223. 2/22/12 (UK) UBS AG’s (UBSN) Doug McCutcheon, head of Healthcare Banking in Europe, Middle East, Africa and Asia-Pacific region, has left Switzerland’s biggest bank after 25 years at the firm. 224. 2/23/12 (UK) Goldman Sachs Nordic M&A banker Luca Ferrari has decided to retire from the firm, clients included the largest telecommunications operator in Spain the Spanish telecommunications. 226. 2/23/12 (SCOTLAND) Royal Bank of Scotland Group director John McFarlane resigns. 227. 2/24/12 (GUERNSEY) Spearpoint Limited (SPL) Investment Funds, director Mike Kirbyresigns for business reasons. 233. 2/25/12 (DENMARK) European Investment Bank (EIB), Mr Sigmund Lubanski, of the Kingdom of Denmark tendered his resignation. 240. 2/27/12 (IRAN) Bank Melli CEO Mahmoud Reza Khaavari Resigns - Flees to Canada! 243. 2/27/12 (SINGAPORE) Standard Chartered Bank, global head of repo and collateralised financing Tanweer Khan resigned. 248. 2/28/12 (BELGIUM) KBC’s CEO Jan Vanhevel is to retire after a career spanning 41 years. 258. 2/29/12 (GUYANA) National Investment and Commercial Investments Ltd. (NICIL), Executive Director Winston Brassington resigns, “We feel that (Winston) Brassington knows everything…A to Z about all the transactions,” said Chairman of the Alliance for Change (AFC), Khemraj Ramjattan, as he sounded a warning that controversial figure could be subpoenaed to appear before the Parliamentary Economic Sector Committee. 260. 3/01/12 (ITALY) Italian Banking Association Chairman Giuseppe Mussari talks to reporters in Rome after he and seven other executives offered to resign in protest over new banking-fee rules included in the government’s legislation on boosting competition. 264. 3/01/12 (SINGAPORE) UBS Singapore - James Tulley is leaving Switzerland’s largest bank, it is not clear where he is going. 269. 3/02/12 (USA NY) Deutsche Bank Student Loan CEOJohn Hupalo quits to start student loan counseling firm. 270. 3/02/12 (UK) Bank of England Sir Mervin King resigns in June, Lord Sassoon tipped as replacement. 284. 3/05/12 (UK) Charterhouse partner Gordon Bonnyman is stepping down. 285. 3/05/12 (UK) HgCapital, partner Lindsay Dibden is leaving after 20 years. 288. 3/06/12 (JAMAICA) Jamaica’s Financial Services Commission (FSC), Executive directorRohan Barnett, has resigned the position, the Ministry of Finance, Planning and the Public Service announced this afternoon. 289. 3/06/12 USA CT) Wells Fargo & Co. said that Mackey McDonald, one of the last remaining directors from Wachovia is retiring. 290. 3/06/12 (USA PA) USA Technologies Inc Bradley M. Tirpak, a nominee of Shareholder Advocates for Value Enhancement,has resigned from its board subsequent to a settlement agreement with the investing group, according to an SEC filing. Provides a network of wireless non-cash transactions, associated financial/network services and energy management. It provides networked credit card and other non-cash systems in the vending, commercial laundry, hospitality and digital imaging industries. 291. 3/06/12 (UK) Sterling Green Group has announced that Philip Kanas, a non-executive director, has decided to resign Sterling Green Group PLC became a cash shell following the disposal of their subsidiaries Taxdebts Ltd, Sterling Green (Mortgages) Ltd and the back books of the clients of Sterling Green Ltd. during December 2011. 292. 3/06/12 (UK) Aberdeen Asset Management, non-executive director Gerhard Fusenig has resigned from the board. 297. 3/07/12 (USA) BlackRock Emerging Markets Fund co-head Daniel Tubbs, has left the group to pursue other opportunities. 315. 3/08/12 (UK) Invesco Trimark Ltd, portfolio manager Dana Love has resigned. 316. 3/08/12 (ISRAEL) Bank of Israel Governor Stanley Fischer will hand in his shock resignation in the coming days and take up a new position as head of the Bank of Zambia. Finance Minister Yuval Steinitz is believed to be furious with Fischer’s decision. Treasury officials said he even canceled his participation in the office’s annual Purim party in order to convince Fischer to reverse his decision. 317. 3/08/12 (SOUTH AFRICA) Standard Bank Group Limited (SBK), board member Sir Paul Judge retires. 318. 3/08/12 (SOUTH AFRICA) Standard Bank Groupl Limited (SBK), board member Sir Sam Jonah retires. 319. 3/09/12 (MONGOLIA) Mongol Bank President Alag Batsukh submitted his resignation letter to Speaker of Parliament D. Demberel at the end of last month. He described his reason for resigning as a lack of support by Parliament. 320. 3/09/12 (MONGOLIA) Asia Pacific Securities, General Manager Narantuguldur Saijrakhrecently resigned, to focus on his role as Director of Khan Investment Management, investment advisor to the Khan Mongolia Equity Fund – the first open-ended investment vehicle with monthly dealing that invests in Mongolia related equities listed both domestically and internationally. 321. 3/09/12 (Côte d’Ivoire) Banque Central des Etats d’Afrique de l’Ouest (BCEAO) The Ivorian governor of the multi-billion dollar West Africa Francophone bank, Philippe-Henry Dacoury-Tabley, resigned his post. 322. 3/09/12 (UK) Lazard , co-head of investment banking Alexis de Rosnay quits. De Rosnay specialises in the healthcare sector, he has advised Teva Pharmaceutical and Novartis. 323. 3/09/12 (UK) Deutsche Bank PWM, UK head of portfolio management Martyn Surguyresigned. 324. 3/09/12 (UK) Deutsche Bank PWM, head of discretionary management, Kypros Charalambous, having also stepped down. 326. 3/09/12 (HONG KONG) Bank of America Merrill Lynch, Jimmy Choi, who was in charge of high-yield debt, resigned. 327. 3/09/12 (HONG KONG) Bank of America Merrill Lynch, Leonard Ng, a vice-president in Hong Kong resigned. 328. 3/09/12 (AUSTRALIA) Bank of Queensland CFO Ram Kangatharan plans to leave the bank. 329. 3/09/12 (USA) Cerberus Capital Management LP, CEO Robert Nardelli resigns. 330. 3/10/12 (AUSTRALIA) WESTPAC, Rob Chapman opted to quit running its regional subsidiary St George Bank. 331. 3/10/12 (TURKEY) Garanti Bank, The deputy CEO of Turkish lender Tolga Egemen, has decided to quit. 332. 3/10/12 (CHINA) Korea Development Bank, Shanghai unit senior manager Stella Wenresigned. 333. 3/10/12 (HONG KONG) Deutsche Bank, Johan Sudiman resigns as director. 335. 3/12/12 (USA CA) California’s Department of Financial Institutions, commissioner William Haraf resigned. The DFI did not say why he is leaving. 337. 3/12/12 (UK and IRELAND) Allfunds Bank, head of UK and Ireland Alan Gadd is stepping down from his role at the end of April. 338. 3/12/12 (USA) ICAP, CEO of the electronic broking business David Rutter step down following a restructuring of the business. 339. 3/12/12 (UK) SVG Capital, chairman Nicholas Ferguson resigns. His departure left him well placed to succeed James Murdoch as chairman of BSkyB should the latter bow to investor pressure and step down. Other investors in the satellite broadcaster suggested Ferguson might be seen as too close to Murdoch to win the support of institutional shareholders. 340. 3/12/12 (SOUTH AFRICA) The Development Bank of Southern Africa (DBSA), CEO Paul Baloyi resigns. 342. 3/12/12 (USA IL) CME Group Inc, CEO Craig Donohues will step down at year end. 343. 3/13/12 (USA) Eaton Vance Corp, Treasurer and CFO Robert J. Whelan has stepped down. 344. 3/12/12 (USA IL) CBOE Holdings Inc. (CBOE), senior compliance executive Patrick Fayhas resigned. The options exchange being investigated by the Securities and Exchange Commission, Fay had been placed on leave after the SEC began investigating the options-market operator’s oversight of traders. 348. 3/13/12 (AUSTRALIA) WESTPAC, head of corporate affairs after David Bell decided to step down from the role. Bell is the latest top executive to leave the bank. 350. 3/13/12 (UAE) National Bank of Abu Dhabi, CEO Michael Tomalin, will retire from the post in a few months. 351. 3/13/12 (ISRAEL) Osem Investments Ltd, CEO Gazi Kaplan has tendered his resignation, effective April 2, citing heath reasons. Nestlé SA owns 58.8% of Osem. 353. 3/13/12 (AUSTRALIA) ASX Ltd, Chairman David Gonski will step down from his role at Australia’s main stock market operator after being appointed to oversee almost A$90 billion ($95 billion) in the nation’s sovereign-wealth funds. 354. 3/13/12 (UK) JP Morgan, Asset Management European chief Jamie Broderick is to step down more than 20 years at the firm. 355. 3/13/12 (UK) SVG Chairman Nicholas Ferguson retires. 356. 3/13/12 (UK) SVG Director Edgar Koning retires. 357. 3/13/12 (UK) SVG Director Denis Raeburn retires. 358. 3/13/12 (UK) SVG Director Francis Finlay retires. 359. 3/14/12 (UK) Goldmand Sachs, executive director and head of the firm’s United States equity derivatives business in Europe, the Middle East and Africa, Greg Smith, is resigning today. The Greek parliament has officially approved a second multi-billion dollar bailout scheme worth up to 130 billion euros (USD 170 billion) in a bid to spare the country a debt default over its financial crisis. The bailout package, endorsed early Wednesday, is provided jointly by the International Monetary Fund (IMF) and the eurozone. The proposed text gained the approval of 213 socialist and conservative parliament members, while only 79 members from the communist left and far-right opposed it. According to a finance ministry official, the endorsement came after Greece received a first payout of 7.5 billion euros on Tuesday under its second international bailout. The payment of EU and IMF loans, on which the Greek economy depends to stay on its feet, will be continued, provided that Athens meets agreed targets to cut the country’s spending and restructure its economy. This is the second such bailout in two years. The EU and IMF had agreed on a first bailout package worth 110 billion euros in 2010. 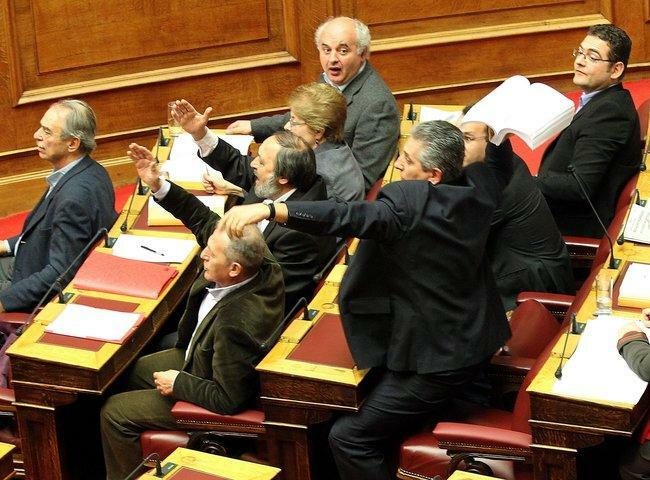 Greek Prime Minister Lucas Papademos’s interim government came into existence late last year after Socialist Prime Minister George Papandreou resigned in the midst of the country’s financial crisis. The government’s main task is to ensure that the country avoids a default before organizing election polls by mid-May for the country’s elections, the date of which is anticipated to be announced next week.